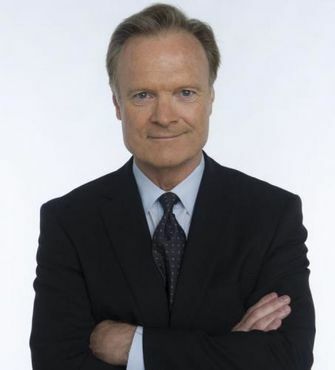 Thanks so much for adding your name to those calling on NBC to renew Lawrence O'Donnell's TV show. Thanks for sharing! We can't lose Lawrence! Good afternoon and thank you for this article -which i read and noted- also the petition- which i signed today- stating that since he and rachel maddow-brian williams and joy reid have been on there -the ratings have gone super high- MSNBC is beating fox and cnn-we need these honest knowledgeable investigative journalist and terrific news commentators to tell us the truth- not the alternative- fake- made up-garbage being handed to us from the trump -fox-alt right faux news ---DO THE RIGHT THING -RENEW LAWRENCE'S CONTRACT AND GIVE ALL YOUR PROGRAM HOST RAISES--THEY DESERVE THEM-I HAVE WRITTEN LETTERS-SENT EMAILS TO ALL MY FAMILY AND FRIENDS - CALLED NBC -WRITTEN LAWRENCE -RACHEL- JOY- BRIAN -to see what more we can do- we only have 4 more weeks- PLEASE PLEASE CONTACT EVERYONE ON FACEBOOK- i do not have that- TWEET ANY ONE AND EVERY ONE- i do not tweet- email your friends here at care 2 - tell your family and friends- WE CAN DO THIS---WE WILL NOT GIVE UP -NOR GIVE IN-WE WILL FIGHT TO THE BITTER END TO KEEP HIM ON AIR- HE HAS FIRST HAND KNOWLEDGE OF CONGRESS- GOVERNMENT- he served in it- HE ALSO IS A GREAT WRITER- wrote for the TV show WEST WING- also was a Adviser on the show- because he knew just how everything really runs in the white house and congress -so he knew when the scripts were too far fetched---RIGHT NOW IT IS SO FAR PAST FAR FETCH IN REAL LIFE -no one would put it on TV - real life is becoming so bizarre - it is worse than fiction- and a lot scarier ----STAND UP- SPEAK OUT- RESIST-PERSIST- AND INSIST- sincerely KAY M.
I don't watch this news or Fox News so have given this a lot of thought. I avoid left leaning or right leaning news because I know I probably won't get the entire picture. However, I believe in being fair and msnbc is the answer to Fox News so I'll side with my friends and I've signed the petition. They don't belong in the news business if they don't allow freedom of speech. Criticizing trump too much is impossible. How can they say that when MSNBC ratings are soaring. Perhaps the appointment of a Special Prosecutor will help get through to them that Lawrence is factual. I mentioned that in my comment. still America . . . isn't it ? Made a comment, couldn't find the "share" button !!! Is he a Care 2 member? Signed! I love Lawrence and one of the best things about him is the way he expresses feelings about Donald JUNK! I am torn on this issue. I believe that news channels such as NBC should be neutral and just report the news. There is just way too much bias in the news these days. It makes me sick that the partisan politics can't just stay in politics. If a news channel has a political commentator, the commentator should just comment on politics and leave his or her own opinions out. But, who am I to judge what NBC does or does not do. I get my news from Sane Progressive, Zoon Politicon with Holly Seeliger, Redacted Tonight, and The Jimmy Dore Show. All channels on YouTube. I don't have cable or satellite for my TV. I agree Donna, but none of them are doing it at this time, and Trump is pushing us to fascism of which he does not support. I had even given this thought before I posted, but after listening to Sunsara Taylor speak when she was at Berkeley I felt it was necessary to post.